Juliana finally gets to meet her new dance team, but after her first meeting, she’s really scared she won’t last long: Not only is she the newest member on the team, but she’s also the weakest. Can her friendship with Rachel, her best dance friend back home, help her stomp out her self-doubt? 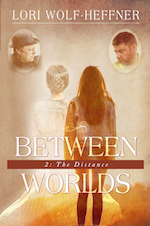 Back in 1920, it’s the New Year and Elisabeth still hasn’t heard from her father. But while helping a cousin with wedding preparations, she discovers Tata has already written to his brother. As if Elisabeth didn’t have enough on her plate, Luki falls ill, and Elisabeth is still expected to run the household. Can she juggle it all? Large Print–Coming in April 2019!